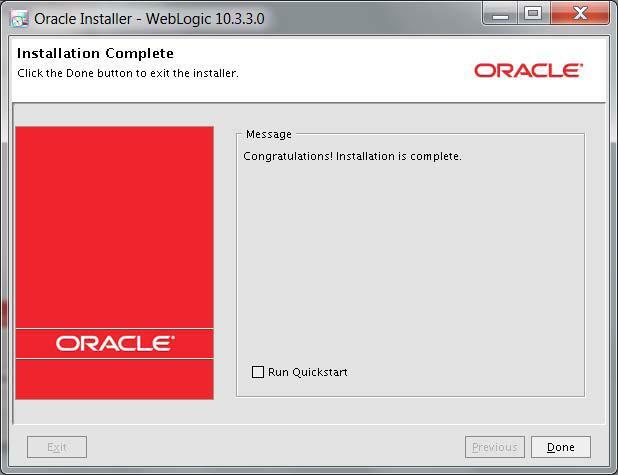 Once planning for the weblogic server hardware and OS is done we can proceed with installation. • OS-specific package installer: This type of installer is a self-extracting executable binary of the installation that includes the JDK’s JRockit and Hotspot for the selected platform. The installer may be either an .exe file or a .bin file, depending on the selected platform. • Generic package installer: This type of installer is a .jar file. It does not include the JRockit and Hotspot. You can use this type of installer on machines where Java is already installed. For AIX, you need the IBM JDK. These kinds of JDKs are also not pre-packaged by Oracle. 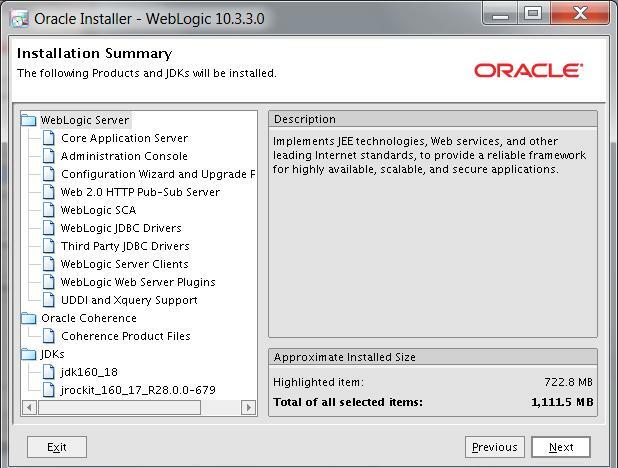 • Upgrade installer: Upgrade installers allow you to upgrade an existing WebLogic Server installation to the current patch release. 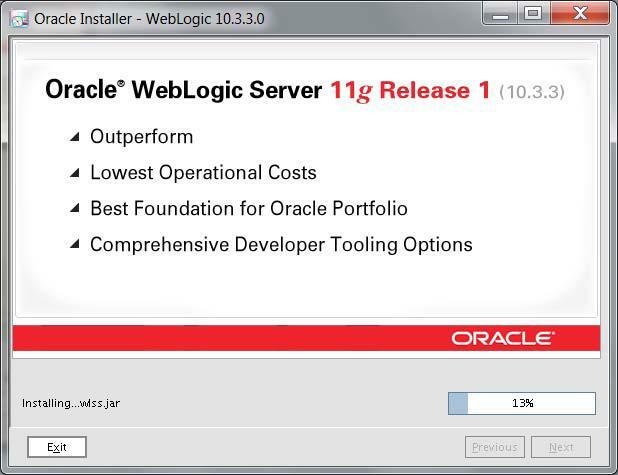 For example, if you have WebLogic Server 10.3.0, 10.3.1, or 10.3.2 installed, you can use an upgrade installer to upgrade your installation to WebLogic Server 10.3.3. 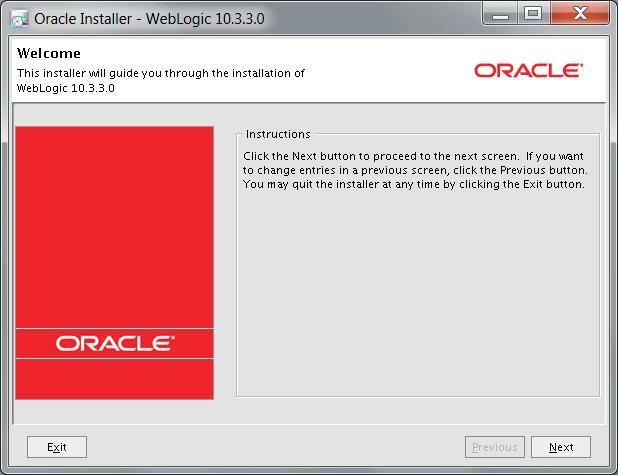 If a patch upgrade is available for your current WebLogic Server installation, you can download an upgrade installer from My Oracle Support. • Zip installer: It is mainly for developers. – GUI mode: This requires a graphical environment.you have to have X-term client installed to avail this.In this case, you will have to forward the DISPLAY to your own PC. – Console mode: It is the same as the GUI mode but does not need a graphical environment. Installation is done through a text-based console. Do not include spaces in your pathnames, because the CLASSPATH might not be resolved because of a line break.Be aware of using capitals; Linux is case-sensitive.Size your filesystems to be big enough; it gives you some space for increasing the capacity. The directory will be created, but be aware that none of them exist and that you have enough permissions to write in it. Choose the Custom option to see which options are available. In future, for silent installations you can script the components for your environment needs. In the Choose Products and Components section, you see a list of components that you can select. 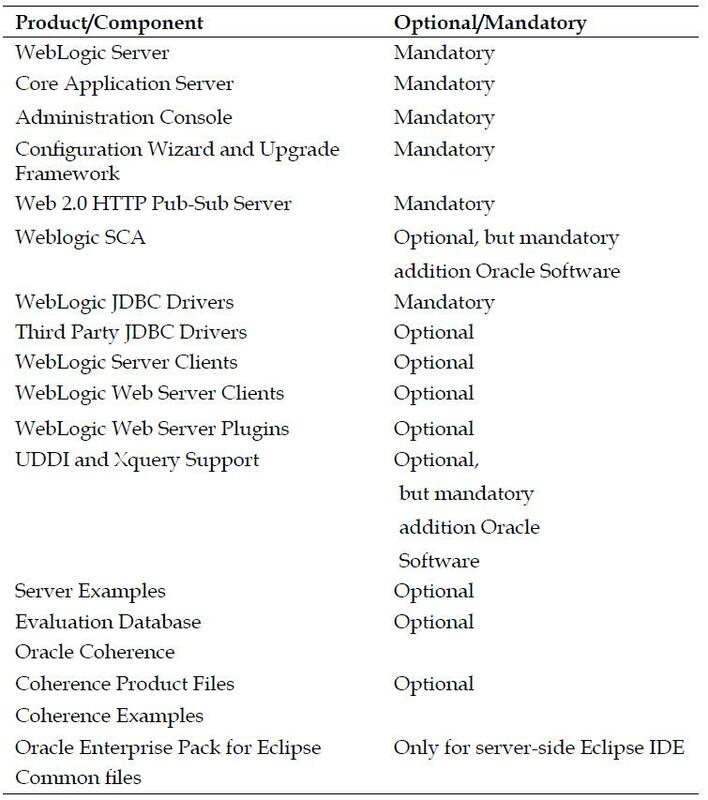 Some are mandatory, such as the Core Application Server, others are optional, such as WebLogic SCA or Oracle Coherence. Depending on the applications you will run the top of your WebLogic Server, you will have to select or deselect components. 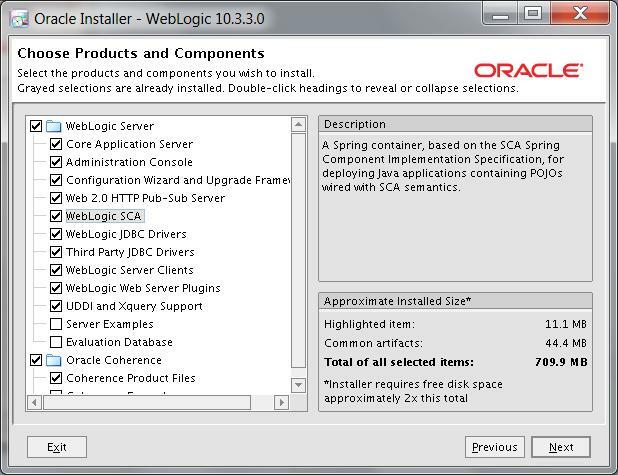 For instance, Oracle SOA Suite requires WebLogic SCA, and for your Oracle Service Bus you want to implement Oracle Coherence, so think well about the purpose of your WebLogic Server. 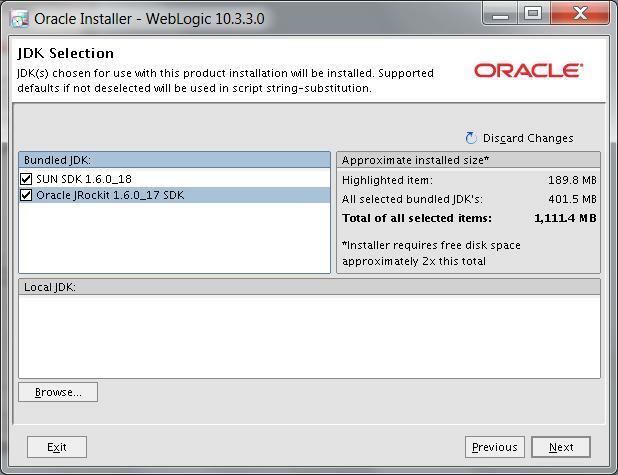 At WebLogic 10.3.3, there are still two Java environments available, SUN Hotspot and JRockit. Oracle prescribes using SUN Hotspot for Development Mode and JRockit for Production Mode. you can also choose external JDk by clicking on Browse button and navigating to the Sun JDK installed by you locally. At this point, the WebLogic Server home directory for binaries, libraries, and configuration files is set. Above is an overview of the components and installation. • Core Application Server: This is the complete WebLogic application server. • Administration Console: The Administration Console application. • Configuration Wizard and Upgrade Framework: This is the framework used for creating domains and performing upgrades. • Web 2.0 HTTP Pub-Sub Server: This is the WebLogic’s built-in HTTP Server. 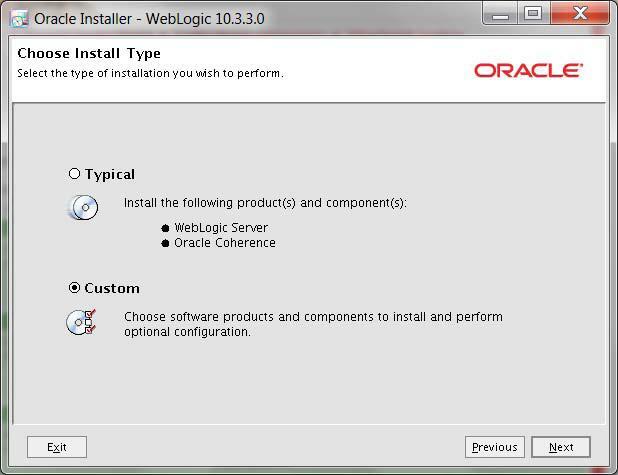 • WebLogic SCA: This is a Spring container for Java applications that use the Service Component Architecture. This is included as an optional library in the WebLogic Server. 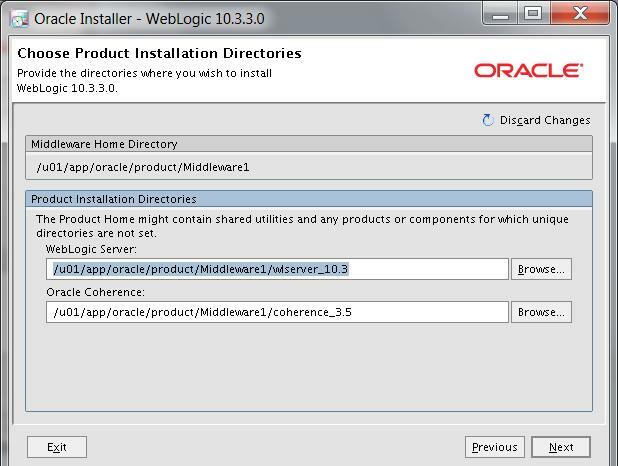 • WebLogic JDBC Drivers and third-party JDBC Drivers: These can be used to connect a WebLogic Server environment to an external database. Installation completed. uncheck Quick Start and click on Done, as we will configure separately. QuickStart is designed to help first-time users evaluate, learn, and install a demo workshop. The –mode=console redirects the output in text to your computer screen. the installer at any time by typing "Exit". Silent mode can be used to specify your installation settings, and after you’ve set it you can propagate the same installation settings to multiple machines. During installation in silent mode, the installation program reads the settings for your configuration from an XML file that you create prior to beginning the installation. The installation program does not display any configuration options during the installation process. Silent-mode installation works on both Windows and UNIX systems. 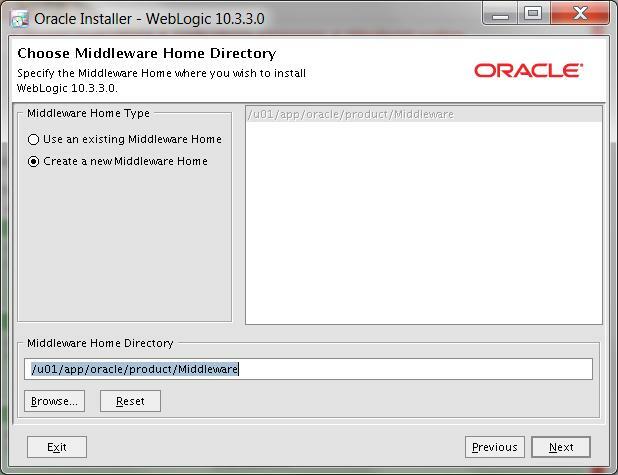 directory in which to install WebLogic Server. COMPONENT_PATHS    Components and subcomponents to be installed. service. The default is "no". installer uses default port 5556. INSTALL_NODE_MANAGER_SERVICE must be set to "yes". in the All Users folder. can be a pipe ('|') separated JavaHomes. Go to the directory that contains the installation program. On a Linux 32-bit environment, this will be wls1033_linux32.bin. When you install with the generic jar installer, it will be wls1033_generic.jar. On a 64-bit environment use the –d64 option, such as java –d64 –jar -mode=silent -silent_xml=path_to_silent.xml, which is the full path of the silent.xml file. Some additional options you can add are –log=path_to_logfile. • 1: Installation failed due to a fatal error. which you specified in your XML. • 2: Installation failed due to an internal XML parsing error. This is normally a typo or a missing quote in your XML files. The use of the XML template enables you to script your installation with a shell script (on Linux/UNIX) or batch script (on Windows).In this shell script, you can specify the same options you use when doing an installation from the command-line.In this way you will be able to automate installation into large number of machines hassle free. Thanks and Glad that it helped you..